The English astronomer Edmund Halley was born on this day in 1656. He was a good friend of Isaac Newton. In 1705 he used Newton's new theory of gravitation to determine the orbits of comets from their recorded positions in the sky as a function of time. He found that the bright comets of 1531, 1607, and 1682 had almost the same orbits, and when he accounted for the gravitational perturbation on the cometary orbits from Jupiter and Saturn, he concluded that these were different appearances of the same comet. He then used his gravitational calculations to predict the return of this comet in 1758. 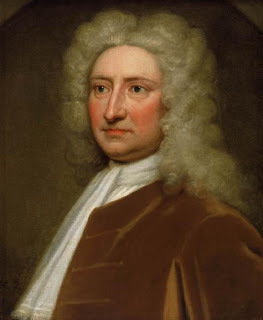 Halley did not live to see his prediction tested because he died in 1742. But on Christmas night, 1758, the comet destined everafter to bear Halley's name reappeared in a spectacular vindication of his bold conjecture and of Newton's gravitational theory. 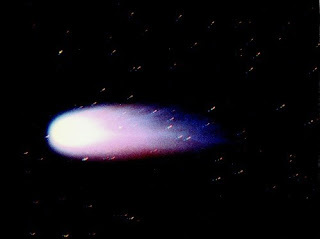 Tracing back in the historical records for recordings of bright comets and their positions in the sky, it was concluded that Halley had been observed periodically as far back as 240 B.C. The most recent return was in 1986, and the predicted next appearance of Halley in the inner Solar System will be in 2061. Set your alarm now!